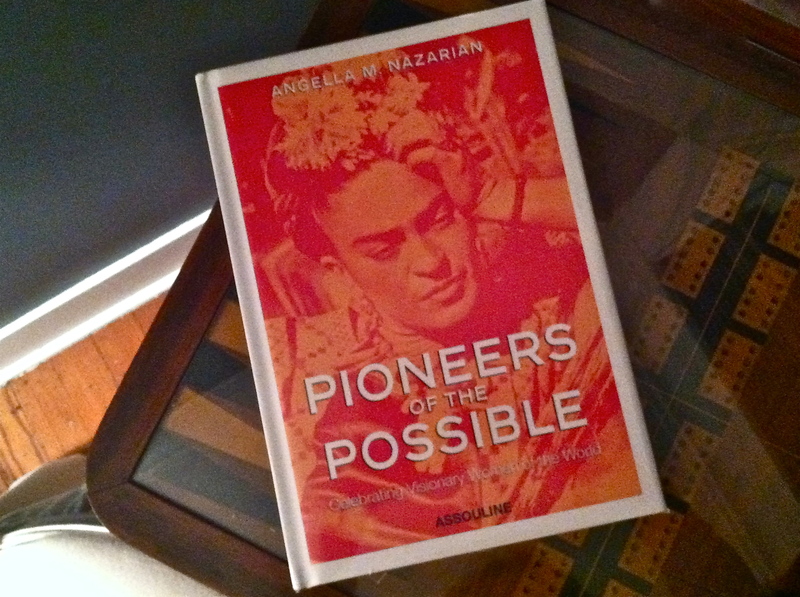 “Pioneers of the Possible: Celebrating Visionary Women of the World” [Assouline], by Angella M. Nazarian, honors twenty of the world’s most inspiring women, spanning the last century through today. From a business tycoon to an author, a dancer to a dreamer, a social activist to a spiritual leader, a painter, and even a bullfighter, each one was driven by passion and an ability to imagine and aspire to what did not yet exist. By celebrating these women, we celebrate their collective fearless spirit and encourage one another toward greater and deeper lives. 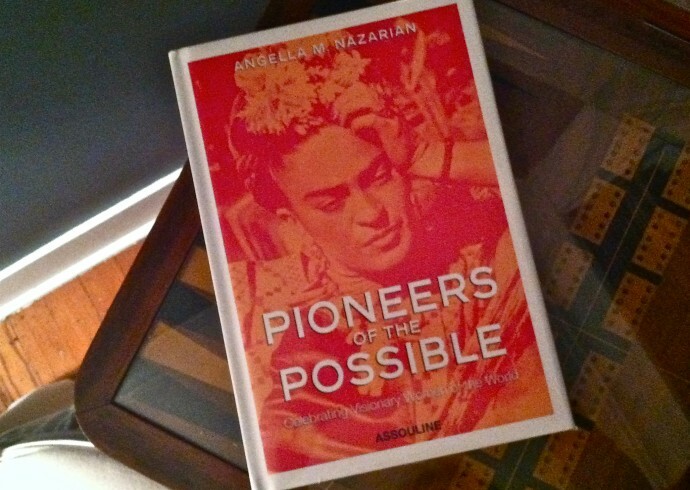 Profiles include: Martha Graham, Ella Fitzgerald, Frida Kahlo, Simone de Beauvoir, Wangari Maathai, Estée Lauder, Zaha Hadid, Helen Suzman, Jacqueline Novogratz, and many more. Angella M. Nazarian is also the bestselling author of 2009’s Life as a Visitor. Presently, she facilitates personal development seminars for women. Her short stories, poems, and award-winning verses have appeared in The Moth and the New Millennium Writings journal. She is a contributor to The Huffington Post, More magazine online, and to Maria Shriver’s Women’s Conference. Several formidable women have thrown their support behind the book, with Tina Brown and Arianna Huffington providing quotes for the book jacket and Tory Burch co-hosting the launch party in New York with Dawn Ostroff of Conde Nast and Novogratz.